3PL Questions: Should Businesses Ask for Custom Logistics Solutions? Earlier this month we recommended eight questions to ask a potential 3PL when you decide to outsource some or all of your supply chain operations. As some of those questions warranted a deeper dive, we’ll be looking more closely at the considerations to make and what to listen for when you ask them. Today we look at services or processes specifically designed for your business and why it’s wise to ask your 3PL for some custom logistics solutions. As we said in the previous post, it’s vital that your supply chain partners give you the confidence that comes from understanding your industry. More importantly, you need them to have a good handle on your business itself and the inevitable quirks that come with your order fulfillment process. A good logistics partner who knows how you work will be able to make suitable recommendations about supply chain improvements that better serve your customers. This could be anything from consolidating a variety of processes into one unified shipping solution, to improved packaging practices that reduce damage potential and customer complaints. Cost reduction from driving out supply chain inefficiencies. You flag any potential misunderstandings about how your existing business processes work before you’re up and running, at which point they’re more costly to resolve. Closer integration with your logistics provider by “learning on the job” and making incremental improvements on the fly. Greater business trust between both parties, as you have confidence that they improve your operations and the aforementioned integration gives your 3PL a significant stake in your success. The original question, “what custom service can you recommend for my business?” also helps both parties to understand any limitations that your logistics partnership will throw up. Discussions around customization tend to dig into the details of what can and can’t be done. If you’re making a decision to outsource for the first time, this could throw up some show stopper issues. If you’re in the middle of a relationship, the question still has value in drawing out the limitations of your current provider. Even simple misunderstandings about what is possible can lead to expensive disagreements further down the line, so it’s always better to get on the same page as your suppliers as soon as you can. If you have any more questions about how custom logistics can help your business, we’re happy to help! Posted on May 21, 2014 Author Anne H.Categories LogisticsTags 3PL, 3PLQs, best of capacity, custom logistics solutions, FAQ, Logistics, Order fulfillment, outsourcing, questions, supply chain solutionsLeave a comment on 3PL Questions: Should Businesses Ask for Custom Logistics Solutions? We’ve talked before about maintaining an efficient, cost-effective supply chain by reviewing industry shifts, variable costs. and eliminating waste. Well, one such sea change may soon occur for shippers large and small, as FedEx moves forward with a waste elimination measure of its own. 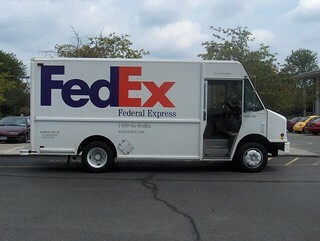 The new Fed Ex pricing model is intended to cut costs that arise from light but bulky packages. Often these are everyday, low price items like toilet paper and kitchen roll, which take up more than their fair share of space on the delivery vehicle. Essentially the announcement means that FedEx will now calculate shipping rates by size, should the dimensional weight of such packages be greater than their actual weight. There are clear implications for online retailers if the move goes industry-wide, as the likes of Amazon and Walmart rely upon the current price model in order to offer free shipping to consumers. These companies are making great strides towards same-day delivery thanks to this growth, but dimensional weight pricing poses a threat to some items on its shopping list. This pricing will take effect on January 1st, 2015. This means there is still some time to plan and adjust for additional costs, perhaps even switching services if other providers choose to compete with FedEx on this criteria. FedEx Freight is also bumping up its fuel surcharge by 3% from June 2nd, 2014. Although fuel costs are a more recognized variable cost for shippers (and all of us, for that matter), this extra hike combined with the dimensional pricing announcement will prompt shipping teams around the U.S. to pull out their calculators. The potential for this shift to reverberate around the supply chain means that every organization should review the likely impact on shipping costs. Even if FedEx isn’t your chosen provider, it’s worth undertaking this analysis now to understand how wider adoption would affect your business. Firstly, look at the immediate impact of these price changes on your monthly costs. As things run currently, how much extra can you expect to pay? Although the adjustments won’t be implemented by FedEx until next year, you’ll need to quantify the additional costs now in order to put a plan in place. Longer term, for example, it may be possible to trim costs or alter packaging to make dimensional weight pricing more palatable. As this could be an extensive process, the more time you can give your team to review and take action, the better. The news may in fact be an ideal opportunity to review your wider order fulfillment process and weed out other unnecessary costs. Depending on the size and scope of your logistics partners, you may also be able to negotiate preferential rates or some discount to offset the upcoming increase. Whatever the outcome of your review, understanding your options at this advance point is a much better option than running around at the last minute, during the busy holiday season. If you need to better understand how these changes will impact your shipping process, don’t hesitate to give our experienced team a call on (732) 745-7770.